I found it hard to sleep last night. There was a lot of sadness, anger and frustration in my heart as thoughts of Komla Dumor’s untimely demise filled my head. Sadness, because a great Ghanaian man with a great life story with even greater potential died. Anger, because, God, Why did you let him die?! Komla Dumor’s life was an epic novel. It had the perfect initial setting and preliminary struggle. It had the major triumph at chapter 6 or 7. Our hero, as I’ve mentioned before, dropped out of medical school to become a traffic watch journalist. Who does that? Only a man with a big dream. He went on to become the best morning show host I have ever listened to. Now in an average novel, this would be the end of the story, but average is not a word one would think of using to describe Komla Dumor. In the epic novel he had many other triumphs; BBC radio, BBC TV, TEDx, On the 100 most influential Africans list… etc. And in the spirit of epic novels, I just knew there had to be more. It was just like reading Book 5 of a Song of Ice and Fire, getting into the middle pages and saying to myself “This is not the last one”. Or reading Book 2 of the Kingkiller Chronicles, realising I had more pages on the left of the open book and groaning because I somehow knew Patrick Rothfuss hadn’t written Book 3 yet. These feeling were multiplied by a 1000 last night, and around 1:00am, I finally found myself blinking back the sudden rush of tears. After feeling miserable for a while and thinking more on the epic novel analogy, a ray of sunlight pierced through the gloom. You see, in the world of fantasy literature, writers have been known to die before they complete a series, and other writers step in, and finish the story. That’s the thought that took me to bed. 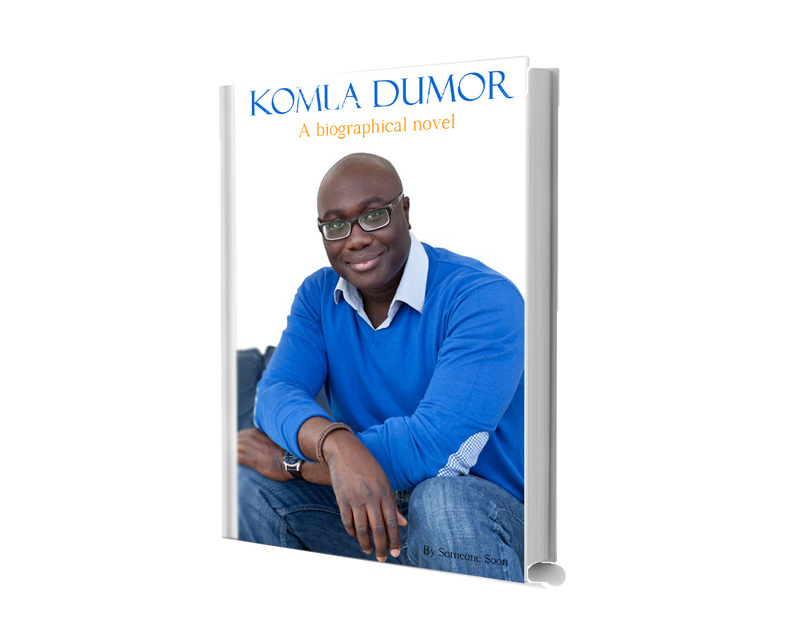 Komla Dumor was working on a book. I hope he finished it. I’m remembering his big April Fools’ Day wedding prank, and there’s a little part of me still hoping this story too is some sort of prank. I have many memories of listening to Komla Dumor in the morning… before school in JSS. His voice was absolutely delightful and my friend Suzzy and I had huge crushes on him. We had never seen him before, but that didn’t stop us from constructing elaborate teenage fantasies about the guy. Suzzy talked to him first; she was home with a flu (or something) and she called in to the morning show. I was so jealous. And then he left Joy fm, moved to BBC and the rest is history. I didn’t see any of the struggles on that road, all I saw was Komla Dumor being amazing at the BBC and making me so proud to be Ghanaian. I remember his smile- he had a big, slightly goofy, sincere-looking smile with a deep, rich laugh to match. And his diction, Oh it was impeccable. The man could speak English! Komla Dumor was a great man who achieved a lot in his life. I’m convinced that he would have achieved even more. I know Komla Dumor was writing a book too. I hope he finished it.